Megyn Kelly has long sought the role of America's Top Interviewer. In 2015, she told Variety, "Barbara Walters has retired, Diane Sawyer left her anchor role. Oprah has moved to the OWN network and is doing a different thing now. So why not me?" What the first month of "Sunday Night with Megyn Kelly" has shown is that wanting to be Walters, Sawyer or Winfrey does not necessarily make it so. Establishing that reputation takes years. And in Kelly's case, it requires a transformation from her former role as a cable news host in the center of the political fray into someone more trusted by the general public. 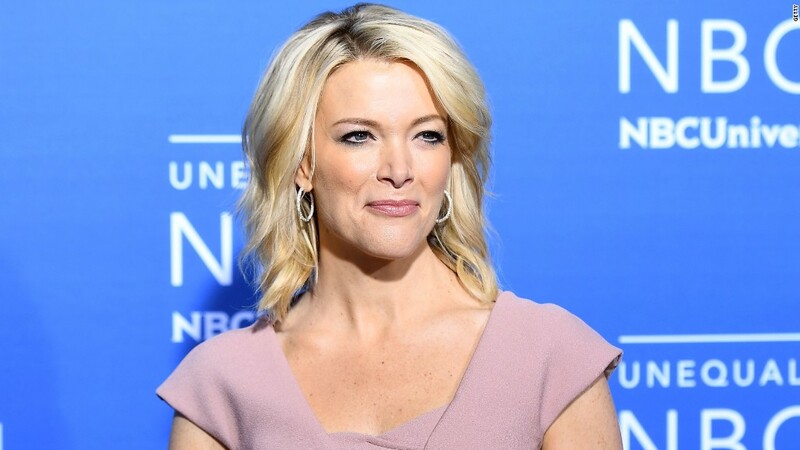 In less than a month since its debut, Kelly's Sunday night NBC program has become the subject of national controversy due to her interview of fringe radio host Alex Jones, as critics on both the left and the right have accused her of journalistic malpractice. Much of the blame for Kelly's botched roll-out should be placed on NBC, television executives said in interviews with CNNMoney. The network that invested tens of millions of dollars in turning Kelly into the next Charlie Rose or Barbara Walters rushed her into an obviously controversial interview before taking the time required to make her a nationally trusted name. "It's malpractice," one veteran television executive said. "Think of Megyn as a product. The product is not a cable news warrior, it's a host in the tradition of Oprah Winfrey and Barbara Walters and Katie Couric. But what they've done is rush her on the air into controversial interviews, reinforcing a political brand." "They've made a fundamental mistake about Megyn which is they think she's a super star," the executive said. "What she is is a cable star, and that is a very different solar system." Kelly has yet to earn the trust of the nation, these executives said, because earning the trust of the nation takes time. Despite being a cable news celebrity, due in large part to her to her starring role in the 2016 campaign, national audiences are still getting familiar with her as a broadcast personality. Meanwhile, critics on the left still associate her with the partisan politics of Fox News, while critics on the right fault her for being too hard on Trump. Had a trusted broadcast talent like Diane Sawyer or Lester Holt interviewed Jones, audiences may have given them greater benefit of the doubt. Critics of Kelly's interview might have waited to see a Sawyer or Holt interview air before casting judgment based on a brief promo. Kelly herself might have been given greater benefit of the doubt if she had spent six months or a year earning the nation's trust. Instead, NBC has thrust her into a very political role not all that different from the one she had at Fox News. Her debut interview, with Russian President Vladimir Putin, was met with mixed reviews. Critics said she was in over her head and failed to elicit answers from the foreign leader. "Megyn Kelly gets outmaneuvered by Vladimir Putin," a Los Angeles Times headline read. "The veteran TV journalist was outmaneuvered by the Russian leader," wrote Rolling Stone. Others, most notably Washington Post foreign affairs columnist David Ignatius, commended her for a hard-hitting interview. Kelly's interview of Jones has yet to air, but NBC was immediately criticized after it released a promo in which the network appeared to be giving Jones a platform to tout his conspiracy theories unchecked. Relatives of the victims of the Sandy Hook elementary school shooting condemned the network and called for NBC to pull the interview. NBC intends to air the interview on Sunday night, and in light of the controversy, it is taking greater steps to address the concerns of the relatives of Sandy Hook victims in the segment, the sources said. And of course, it is possible Kelly's interview could surprise her critics. On Thursday night, Jones' site Infowars released an audio recording of a phone conversation with Kelly which portrayed Kelly as having acted in bad faith. In the call, Kelly said "it's not going to be a contentious, sort of gotcha exchange." Kelly said, "I'm not looking to portray you as some boogeyman or just any sort of gotcha moment. I just want to talk about you." While there was nothing particularly damning in the recording, it was framed to look as though Kelly had acted under false pretenses. Taken together, the Putin and Jones interviews felt too ambitious for Kelly's first month on the job, executives said. "They're trying to make a splash, trying to go big," the executive said. "But they're not ready for that."